As the Working People’s Alliance (WPA) yesterday called on Guyanese youth to firmly press for their inclusion in government and policy making processes, party sources confirmed that it has recommended that Tabitha Sarabo-Halley replace Dr. Rupert Roopnaraine as a Member of Parliament (MP). In a move that the party calls “walking the walk,” WPA executives told Sunday Stabroek that the party was leading from the front with its decision to recommend the 30-year-old Sarabo-Halley as its parliamentary voice. It was Roopnaraine who first floated Sarabo-Halley as his replacement, and the decision was welcomed by the entire executive of the party, since she was its nominee to replace Roopnaraine when he had first offered his resignation in 2015. “Her nomination was unanimous. No dissent. 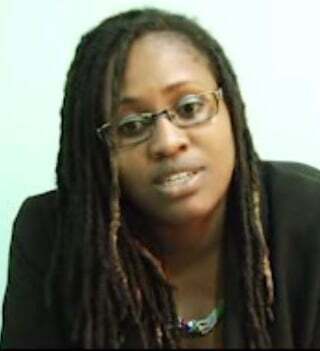 Her appointment is partly a response to criticisms from sections of the youth that the [APNU+AFC] Coalition has not really invested in young people at the highest level of government,” a senior official of the WPA said. “So many in the WPA see her appointment as an investment in youth—a new generation of leaders who are more in tune with the social and political demands of the 21st century. The WPA itself was born in the 1970s as a youthful party—most of the top leaders, including Walter Rodney, were in their 20s and 30s. So this is not a fly-by-night decision. We feel it’s the right direction to go,” a reliable WPA source said. Contacted for comment, Sarabo-Halley confirmed the nomination but said she preferred to wait until the process is completed before answering other questions posed. “Yes, it is true that I have been nominated by my party and I have accepted. I, however, would not want to at this point preempt the process and would hold off on responding to the other questions until the process is complete,” she said. President David Granger will be the deciding voice on accepting Sarabo-Halley as Roopnaraine’s replacement. The APNU+AFC administration has to decide on the candidates from its National Top Up List who will replace its four dual citizenship parliamentarians who have resigned. Only three WPA persons remain on the list: Sarabo-Halley, who is the WPA’s current Chairperson; Desmond Trotman, who is a government-nominated Guyana Elections Commission (GECOM) commissioner, and University of Guyana lecturer Rishee ‘Thakur’ Srithackoor. WPA is urging Guyanese, especially the young, to be more vocal and let their needs be known, as the country prepares for General Elections. “WPA feels that young people have to chart their own course and make their own mistakes. They will decide what forms their intervention will take. We want this appointment to signal to them that we support their quest for a voice at the highest level that goes beyond tokenism. This is their country too. And while we are not advocating a youth-takeover, we are insisting that they be given a chance to help in meaningfully chart[ing] the course for the nation as we enter this new phase in our journey as a nation,” a WPA Executive said. Late last month, government announced that People’s National Congress Reform (PNCR) members Carl Greenidge, who is the Minister of Foreign Affairs, and Minister of State Joseph Harmon; Alliance for Change (AFC) member Dominic Gaskin, who is the Minister of Business; and Roopnaraine, who is Public Service Minister, were resigning from parliament. The move followed rulings handed down by the High Court and the Guyana Court of Appeal, which affirmed that dual citizens are not eligible to sit in parliament in keeping with Article 155 (1) (a) of the Constitution. The Article states, “No person shall be qualified for election as a member of the National Assembly who is, by virtue of his or her own act, under any acknowledgement of allegiance, obedience or adherence to a foreign power or state.” The rulings came subsequent to cases filed in court challenging the passage of a no-confidence motion against the APNU+AFC government. It was subsequently disclosed that the ministers—with the exception of Gaskin, who is British born—will renounce their foreign citizenship. Roopnaraine and Greenidge are the holders of British passports, while Harmon is a US citizen.